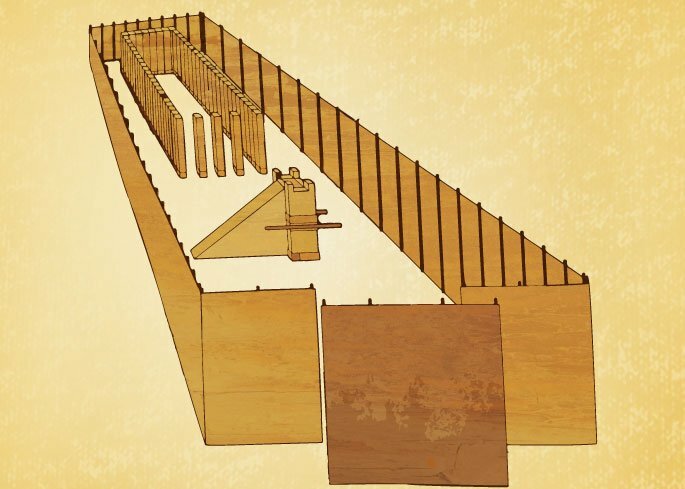 The parasha of Teruma describes the construction of the Tabernacle, the first collective house of worship in the history of Israel. The first but not the last; it was eventually succeeded by the Temple in Jerusalem. I want to focus on one moment in Jewish history which represents Jewish spirituality at its lowest ebb and highest flight: the moment the Temple was destroyed. The prophet Ezekiel was one of those who shaped a vision of return and restoration, and it is to him we owe the first oblique reference to a radically new institution that eventually became known as the Beit Knesset, the synagogue: “This is what the sovereign L‑rd says: although I sent them far away among the nations and scattered them among the countries, yet I have become to them a small Sanctuary [Mikdash me’at] in the countries where they have gone.”2 The central Sanctuary had been destroyed, but a small echo, a miniature, remained. We tend to forget how profound the concept of a synagogue was. Professor M. Stern has written that “in establishing the synagogue, Judaism created one of the greatest revolutions in the history of religion and society, for the synagogue was an entirely new environment for divine service, of a type unknown anywhere before.”4 It became, according to Salo Baron, the institution through which the exilic community “completely shifted the emphasis from the place of worship, the Sanctuary, to the gathering of worshippers, the congregation, assembled at any time and any place in G‑d’s wide world.”5 The synagogue became Jerusalem in exile, the home of the Jewish heart. It is the ultimate expression of monotheism – that wherever we gather to turn our hearts towards heaven, there the Divine Presence can be found, for G‑d is everywhere. Where did it come from, this world-changing idea? It did not come from theThe synagogue became Jerusalem in exile Temple, but rather from the much earlier institution described in this week’s parsha: the Tabernacle. Its essence was that it was portable, made up of beams and hangings that could be dismantled and carried by the Levites as the Israelites journeyed through the wilderness. The Tabernacle, a temporary structure, turned out to have permanent influence, whereas the Temple, intended to be permanent, proved to be temporary – until, as we pray daily, it is rebuilt. The very concept of making a home in finite space for an infinite presence seems a contradiction in terms. The answer, still astonishing in its profundity, is contained at the beginning of this week’s parsha: “They shall make a Sanctuary for Me, and I will dwell in them [betokham].”8 The Jewish mystics pointed out the linguistic strangeness of this sentence. It should have said, “I will dwell in it,” not “I will dwell in them.” The answer is that theG‑d exists everwhere, but not everywhere do we feel His presence Divine Presence lives not in a building but in its builders; not in a physical place but in the human heart. The Sanctuary was not a place in which the objective existence of G‑d was somehow more concentrated than elsewhere. Rather, it was a place whose holiness had the effect of opening hearts to the One worshipped there. G‑d exists everywhere, but not everywhere do we feel the presence of G‑d in the same way. The essence of “the holy” is that it is a place where we set aside all human devices and desires and enter a domain wholly set aside for G‑d. If the concept of the Mishkan, the Tabernacle, is that G‑d lives in the human heart whenever it opens itself unreservedly to heaven, then its physical location is irrelevant. Thus the way was open, seven centuries later, to the synagogue: the supreme statement of the idea that if G‑d is everywhere, He can be reached anywhere. I find it moving that the frail structure described in this week’s parsha became the inspiration of an institution that, more than any other, kept the Jewish people alive through almost two thousand years of dispersion – the longest of all journeys through the wilderness. Covenant and Conversation 5779 is kindly supported by the Maurice Wohl Charitable Foundation, in memory of Maurice and Vivienne Wohl z”l. II Samuel 7:27; I Kings 6:1ff, 8:27; I Chronicles 22:1, etc. H.H. Ben-Sasson, ed., A History of the Jewish People (Harvard University Press, 1976), 285. Salo Baron, The Jewish Community (Jewish Publication Society of America, 1945), 1:62. Once a group of sages saw a fox running through the Temple ruins in Jerusalem and they all cried and were saddened, Rav Akkiva who was their said, why are you crying, this is a great sign, it means that Mashiach will be coming soon and these events are signs that we are nearly there. We have to go through this before Mashiach arrives. nice explanation, Israel is within us, but this has a process so that we can realise this. The various places of worship are signs to us to see what is within us. As people we have to have physical examples to be able to realise the Spiritual. Amongst many explanations when Avraham took his son Yitchak to the mountain for sacrifice and then the event was cancelled by the good G-d and this was to show the pagans that this is not done anymore. The True G-d does not require this type of behaviour. So could it be that all the variations of worship to the good G-d might change once we realise that The Ha Kodesh Presence of G-d is within us. Who knows. This will become apparent when we as people become more Compassionate.